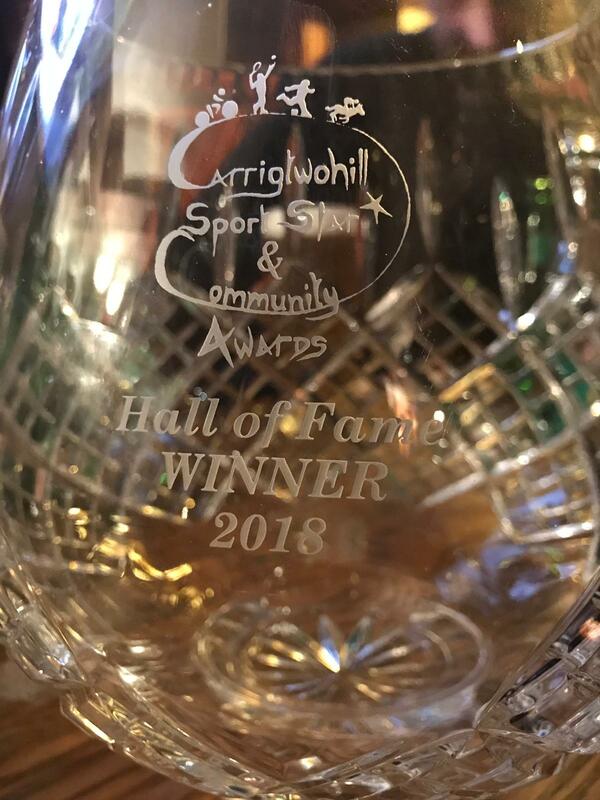 On Saturday 19th January Ger Foley, a former teacher at our school, Scoil Mhuire Naofa, was inducted into the Carrigtwohill Hall of Fame. 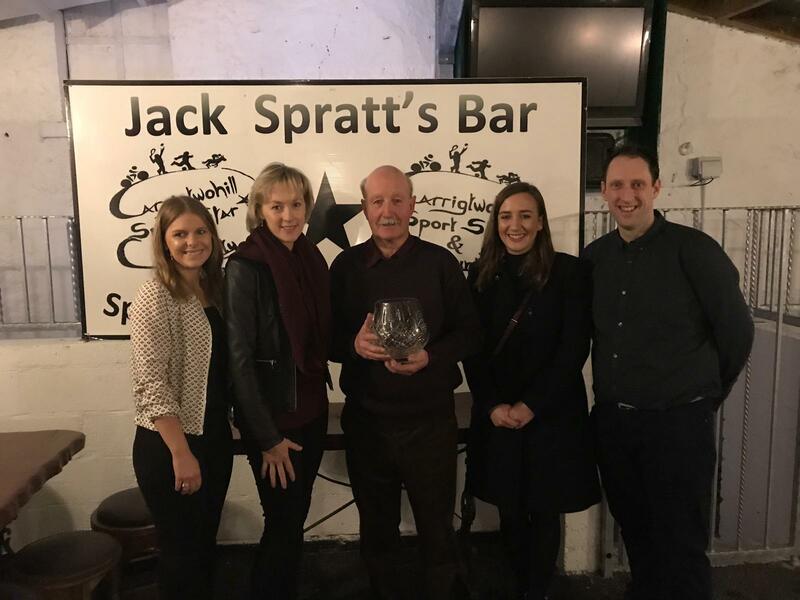 Ger was given the prestigious Carrigtwohill Sports Star and Community Award in recognition of his outstanding work in Gaelic Games, in Carrigtwohill, over the course of his entire teaching career. Ger taught in Scoil Mhuire Naofa from 1980 until his retirement in 2013. 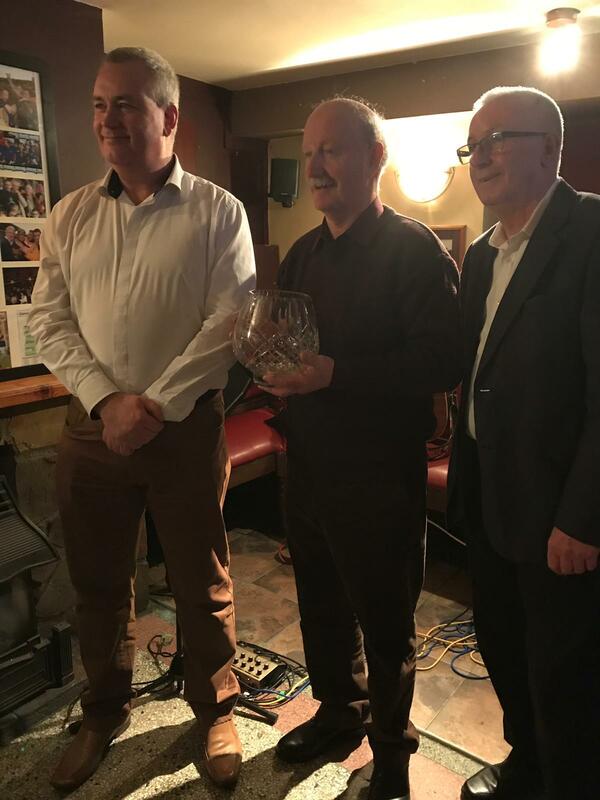 Ger was presented with his award at the Carrigtwohill Community awards night. 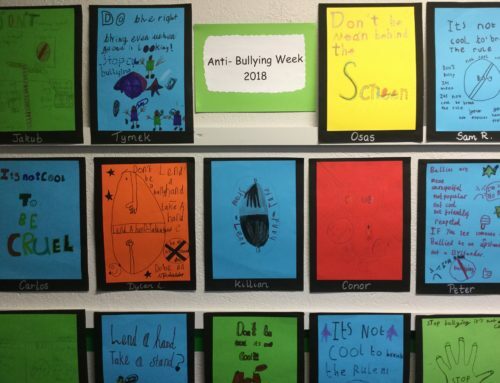 It was a testament to Ger’s popularity and his impact on Carrigtwohill that so many former colleagues, parents and pupils attended the ceremony. Ger, being the modest man that he is, was completely humbled by the award. On accepting the award Ger spoke about his extensive time in Scoil Mhuire Naofa. He recalled fondly his days in Carrigtwohill and how soon after he arrived in the school he became involved with the coaching of Gaelic Games. One of his finest memories was the winning Sciath na Scol teams of 1992-1996, two of which went on to win the county shield. Ger thanked the Carrigtwohill Juvenile club for their outstanding support throughout his time in ScoilMhuire Naofa. He spoke of how proud he felt when he saw former pupils wearing the Cork jersey and made special mention to Niall McCarthy’s ‘Man of the Match’ performance in the 2005 All Ireland Final. When Carrigtwohill won the Senior County championship in 2011, Ger felt immensely proud of the players involved whom he had coached from such an early age. Ger thanked his family and his former colleagues who had supported him all through his time in Scoil Mhuire Naofa. 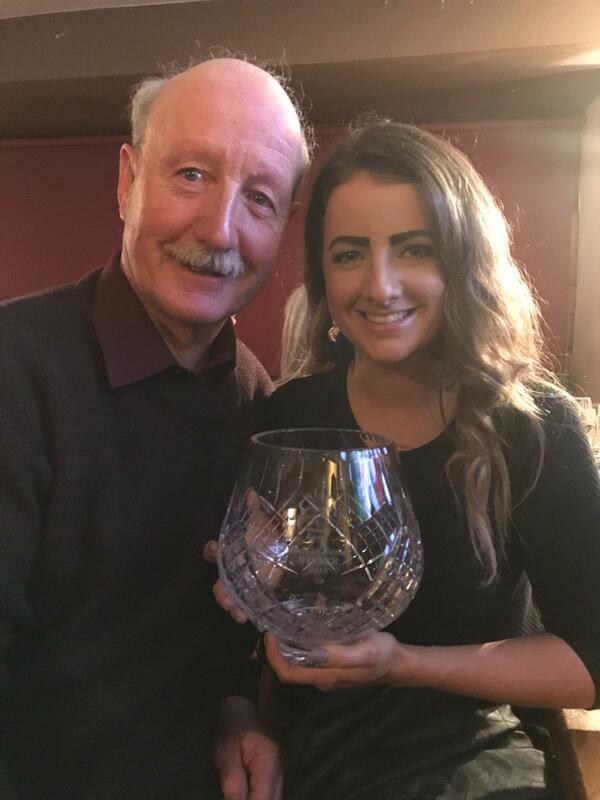 We in Scoil Mhuire Naofa are incredibly proud that Ger has been given such a prestigious award. The award is fully deserved and well-earned as Ger gave so much service, time and dedication to Gaelic Games in the school. Ger was always one of the first to arrive at school and the last to leave. His preparation for events was meticulous. He spent countless hours working out the fixtures for Mini-Sevens, Indoor Hurling and blitzes. He was often in the GAA field at 6am preparing the field. Ger was a fantastic colleague who could always be relied upon for help and support. Ger Foley had a huge impact on our school and the local community during his time here. His kindness and humorous nature have left a lasting legacy in Carrigtwohill, and he is remembered with great affection. We wish him continued happiness and good health in his retirement .